This quilt has been in our home and comforted many a sick child, had lots of popcorn and juice spills, seen a few tears and served as a joyful “jumping off place” for me in my quilting journey. Whenever I feel stuck, creatively, I always remember how much I love making basic improv log cabin blocks. There are so many places to go with that simple concept, and they are SO FUN to make!! 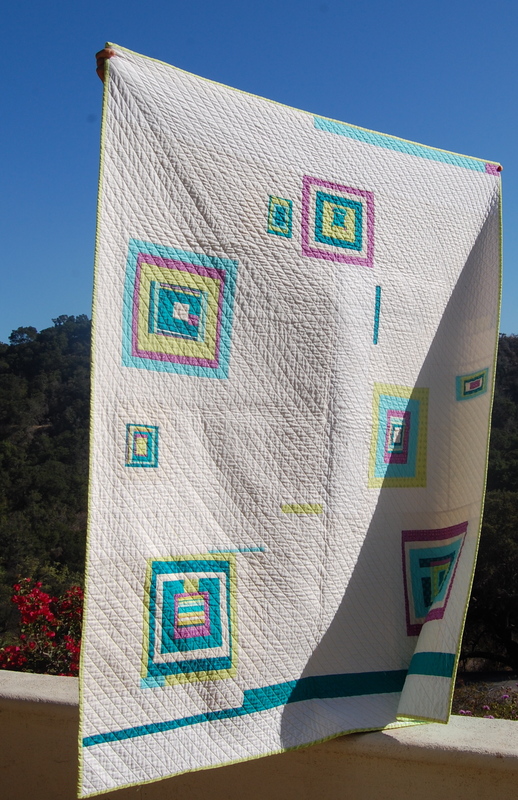 I decided to enter this quilt into the Throw Quilts Category, as that is truly what it is and has been for our family. I love the warmth and goodness that a well loved quilt can evoke in us. It’s definitely one of the most charming aspects of modern quilting!! 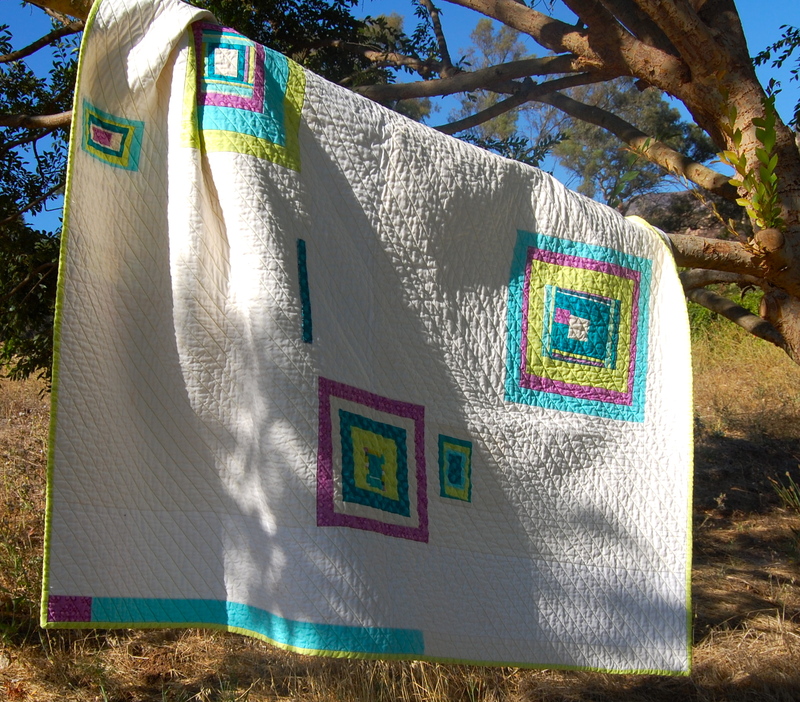 You can find my original post about this quilt here. 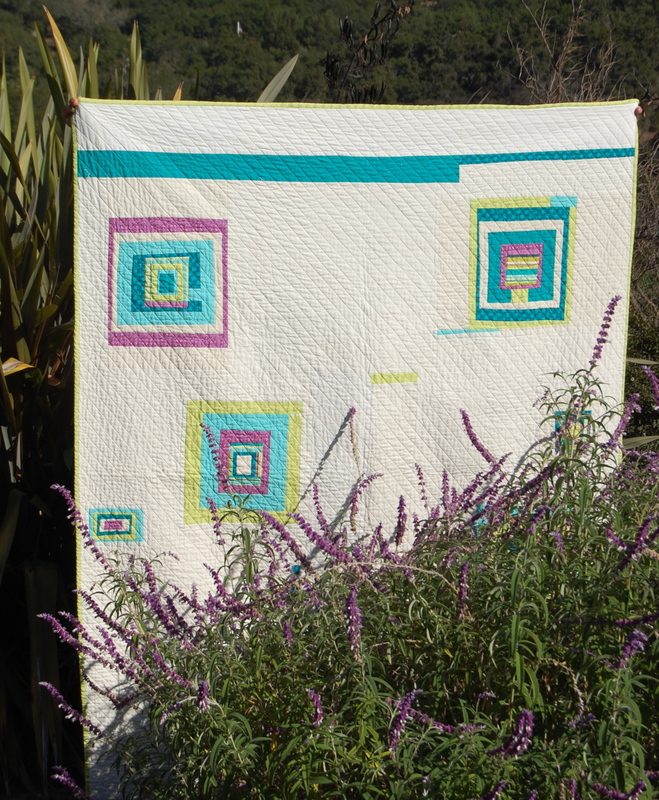 If you haven’t already just come from Amy’s site, I urge you to go on over and check out all the fun and inspiring quilts. Or better yet, enter one of your own!! 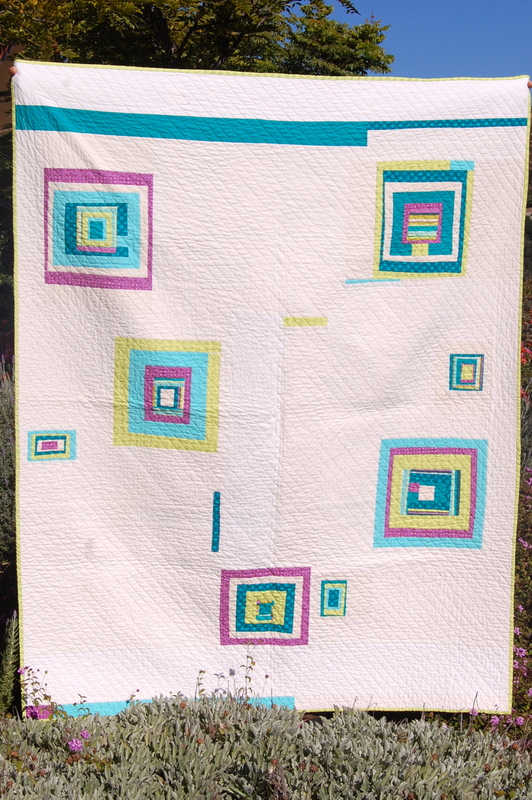 This such a wonderful quilt…..great entry. I adore this quilt. 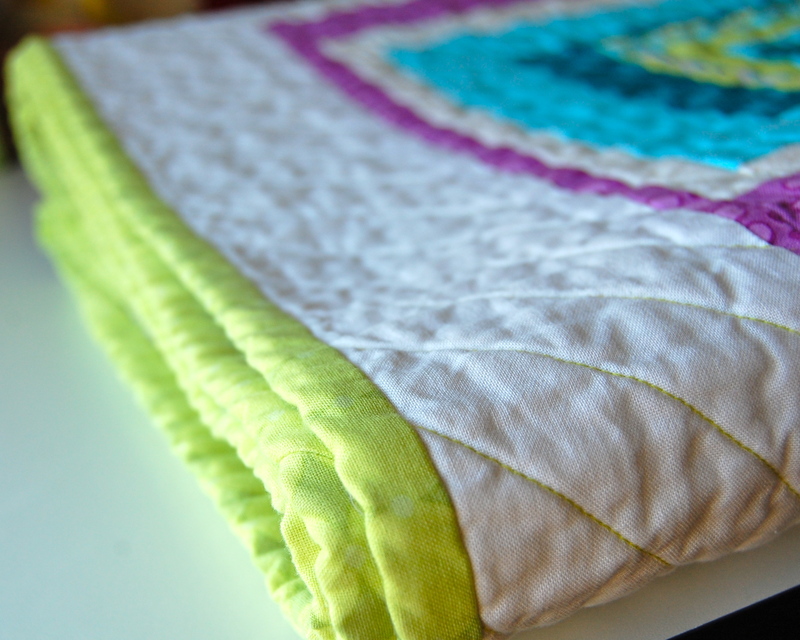 What a beautiful quilt for one of your firsts! I love the colors!! beautiful! 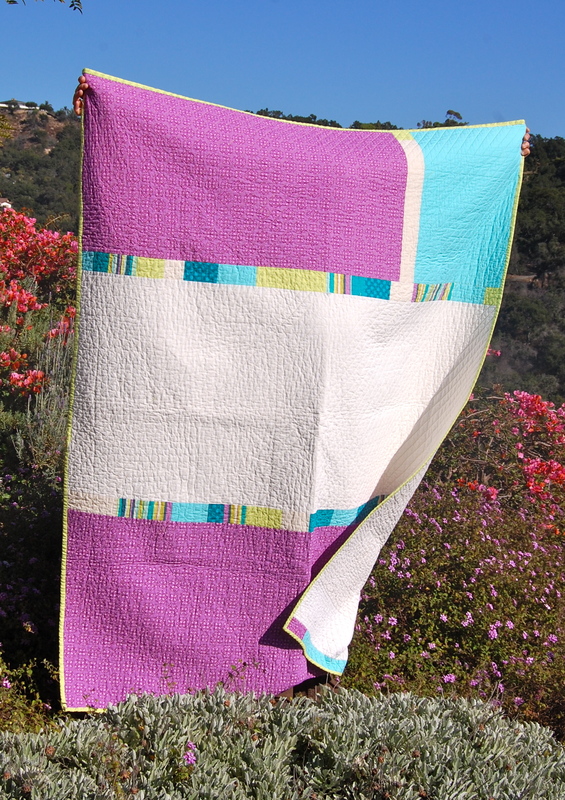 I love the soft yet bold look to this quilt! I love the pink and bright aqua colors, I love both sides but believe it or not I think I like the back just a smudge more 🙂 Amazing – Love it. This is a great quilt. Great colors! And a fantabulous early quilt! Great quilt for this! I love hearing about how you just followed your own path (and look how effective that was for you!) Also, the photos are beautiful. Thanks for the insight into this one! It’s lovely but my favourite part is that it is used and well-loved. I think quilts are happiest when they’re used. If quilts could feel, I mean.